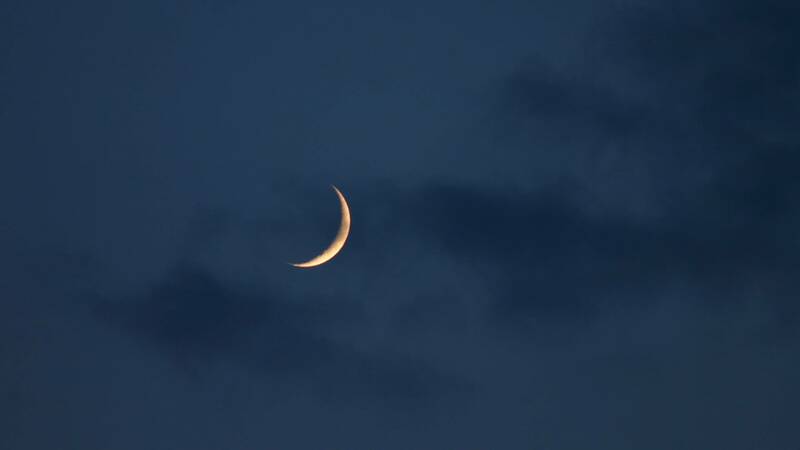 The new moon on 18 April 2015 falls in Aries decan 3 at 28 degrees Aries. Harsh aspects involving Venus means that intimate relationships may suffer through misconceptions, delays or separations. Positive aspects to Mercury and Mars suggest that more success will be had by concentrating on new goals or turning over a new leaf. A new moon represents the end of one cycle and the beginning of a new 28 day cycle. All possibilities are on the table and you can rightly put yourself in the forefront of new plans for the future. Old habits, behaviors and beliefs can be questioned as you search for new and inventive ways to make progress. This is the ideal time to make a fresh start and start writing down a to-do list on a blank sheet of paper. However, the impulsive and enthusiastic nature of a new moon means that not all new projects will succeed. The best time for making a fresh start and for beginning new projects is during the first two weeks of a new moon cycle. The waning moon phases in this case lasts from the April 18 new moon until the May 3 full moon. This new moon on 18 April 2015 falls at 28 degrees Aries (28♈25). There are no major aspects to this degree but there is a fixed star influence. There are also a number of other aspects with tight orbs which color this new moon. Firstly, the fixed star Al Pherg at 27♈01 imparts a positive influence on the new moon. This star in the tail of the Northern Fish in constellation Pisces gives “preparedness, steadiness, determination and final success”. This means that the new projects started after this new moon should have a good chance of success. Al Pherg also has a more mystical influence. It can offer occult knowledge about ourselves and where we come from. However, if this degree is not well aspected in your chart, this knowledge can be too overwhelming and lead to mental instability. In general, other aspects in the new moon horoscope will reveal how this plays out. Mercury sextile Neptune stirs the imagination to great heights. Perception is well above average and intuition should be strong and accurate. This mental sensitivity applies just as much to ordinary conversations as it does to psychic awareness. This will play out well in regards to the occult knowledge suggested by the fixed star Al Pherg. It will also help in the planning of new projects, making it easier to write down your to-do list. Venus square Neptune will affect your intimate relationships mostly, but not in a good way. There will be a tendency to over idealize your partner or prospective partners. If dating, then high moral standards must be maintained in order to avoid scandal or disappointment. Venus square Neptune can also make you lazy, but I doubt this will be the case given the enthusiasm brought about by a new moon, plus the following Mars aspects. Mars square Jupiter will aggravate any relationships difficulties brought about by Venus square Neptune. Lack of tact and a tendency to exaggerate and take risks could lead to embarrassing situations. As for turning over a new leaf or starting new projects, Mars square Jupiter should have a less adverse effect. There may still be a tendency to take rash actions or over-estimate your capabilities, but Mars trine Pluto should provide the inner strength to stay on course. The fixed star Al Pherg also provides the preparedness and steadiness to compensate for the rashness of this aspect. Mars trine Pluto will have a similar influence to that of the star Al Pherg. It is an aspect of determination and success. It will come in most useful if you use this new moon to eliminate old habits because of it regenerative nature. Desires and ambitions are heightened with Mars trine Pluto. You strong desires have a good chance of being fulfilled because of increased stamina and perseverance. Mars trine Pluto is also a very sexual aspect and will overpower to some extent any confusion in relationships caused by Venus square Neptune. However, this is not a good moon phase for love relationships, which is confirmed by Venus opposite Saturn. More success is on offer by drawing on your imagination and intuition to eliminate bad habits, turn over a new leaf or start new projects. You should have the energy and determination to see them through to completion. Spot on Jamie, thanks! Having the benefit of knowing what’s going on astrologically helps us get through many tricky icky situations! broke up with my bf of 3 years today. the first uranus square natal uranus of my life started this week.